Ireland Premier Division kitpack for season 2016 contanis 28 real kits; home, away and third for most clubs in beautiful FC’12 style. 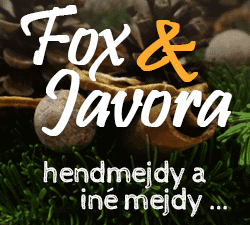 This creative belongs its owner, to the site of FM Slovakia.com and Serbian-fm.net. It’s in self-service but for personal use only. The only authorized download links are the links on the official site or the sites with the author’s permission. 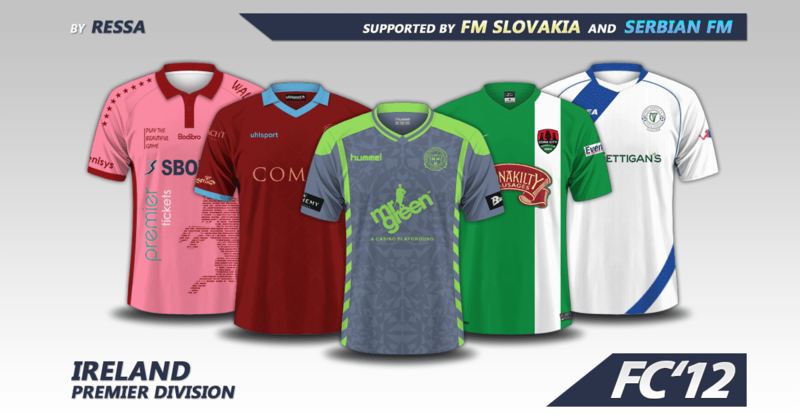 People who want to put FC’12 Ireland Premier Division 2016 kits on other sites, you may link back to this very page but you cannot host any files yourselves. Thank you! 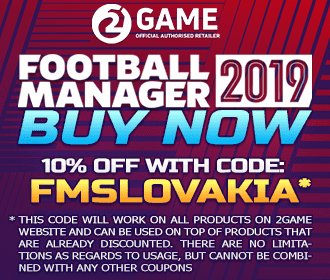 FMSlovakia.com & Serbian-fm.net doesn’t have a lucrative goal and just want to help the Football Manager community. However, given the amount of work, we would not mind getting some recognition, so thanks you in advance for respecting those rules. If you don´t have the graphics folder, create it. We recommend to make a folder in it called Kits and extract this pack in it. Make sure that you tick the check box on the page called ‘Reload skin when confirming changes in Preferences’ and un-tick then box saying ‘Use caching to decrease page loading times’. Hit Confirm. There should be a box that pops up saying ‘loading image data for the new skin’. Once this is done your graphics should be working within the game.